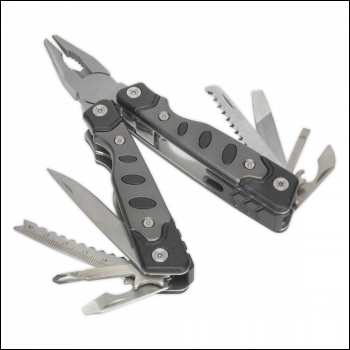 Manufactured from high quality stainless steel. Fully hardened and tempered for long life. Lightweight aluminium/composite handle construction. Ideal for camping and leisure activities. Supplied with belt pouch. 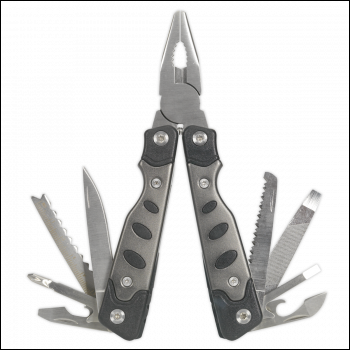 Multi-tool functions include combination pliers, long nose pliers, wire cutter, fine edge blade, bottle opener, can opener, slotted screwdrivers, Phillips screwdriver, fish scaler, file, hook remover, ruler, wood saw and single/double file.